Perhaps it is my Japanese roots or the fact that I’m a dietitian. Either way, I love tofu. Many many years ago, my Bachan (Japanese grandmother) used to make her own tofu from soy beans when they lived in a remote village in Northern Ontario. She doesn’t make it anymore as tofu is readily available everywhere now. Is all tofu low FODMAP? No, not all types of tofu are low in FODMAPs. There are two different types of tofu, silken and firm. Only the firm type of tofu is low FODMAP. 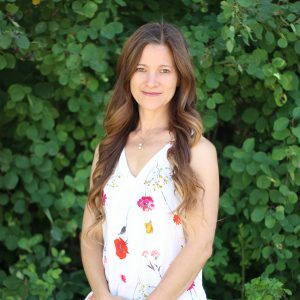 I find it really interesting to learn how processing can affect the FODMAP content of foods. When tofu is made, the beans are soaked in water and then coagulated. This is the end of the road for silken tofu. Whereas, firm tofu is then pressed and drained, which removes the liquid containing GOS (FODMAPs). This is why only firm or extra-firm tofu is low enough in GOS to be considered low FODMAP. According to Monash, 2/3 of a cup or 160g is low in FODMAPs and should be tolerated by most people with IBS. Since I’m frequently asked how to prepare tofu, here is a quick low FODMAP recipe for you that doesn’t even require cooking. On it’s own, tofu is really bland. It needs a really good flavourful sauce to make it taste delicious. This tofu needs to marinate for at least 30 minutes, but if you leave it overnight – watch out as it is CRAZY good! 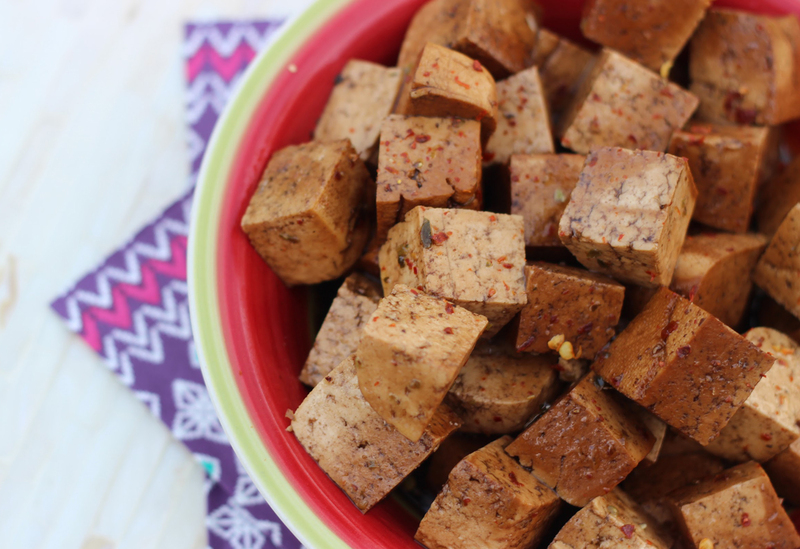 These tasty cubes of tofu don't need to be cooked. You just marinate them in the delicious sauce. Thirty minutes is enough, but the flavour just keeps getting better by the next day. It will keep in the fridge for 2-3 days. I love this tofu on a salad with romaine, cucumber, peppers, carrots, avocado (20g) and feta. Marinated tofu is also delicious in stir-fries, rice bowls or noodle bowls. It is super convenient to bring to work for lunch. You can even eat it on its own. Pat the tofu dry with a clean tea towel to remove excess moisture. Cut the tofu into 1" cubes. In a large container or Ziploc bag, combine the soy sauce (2 tbsp), olive oil (1 tbsp), balsamic vinegar (2 tbsp), brown sugar (1 tbsp), dried basil or oregano (1 tsp). Add the cubes of tofu and toss until all sides of the tofu are well coated. Marinate for 30 minutes or overnight in the fridge.